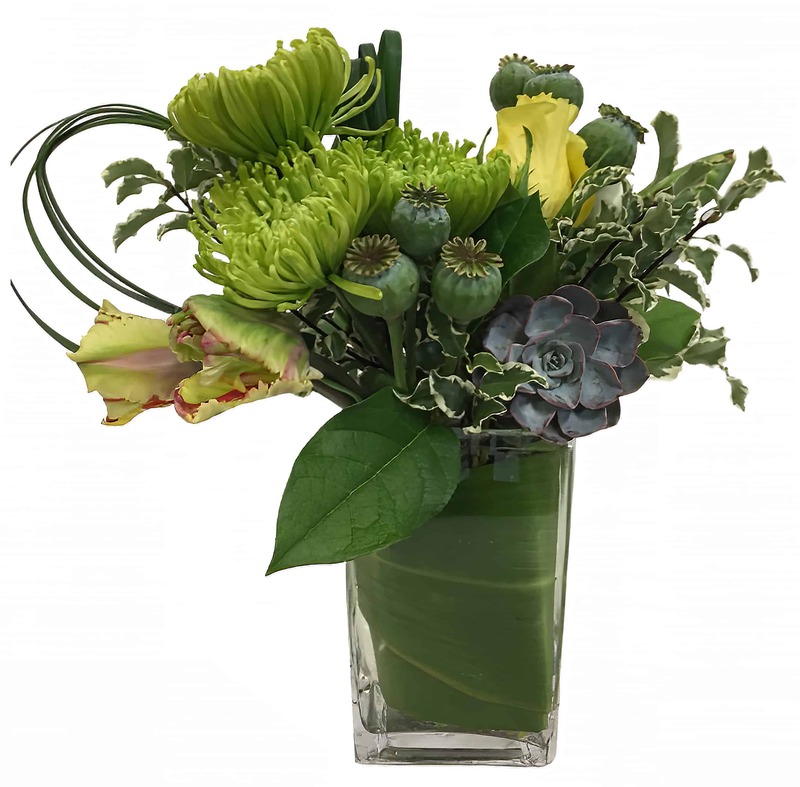 This beautiful arrangement contains a lovely succulent as the star with lots of green floral and leaves to accent. It's sure to be a hit with any recipient. Floral Arrangement is approximately 10" tall and 6" wide at the top.